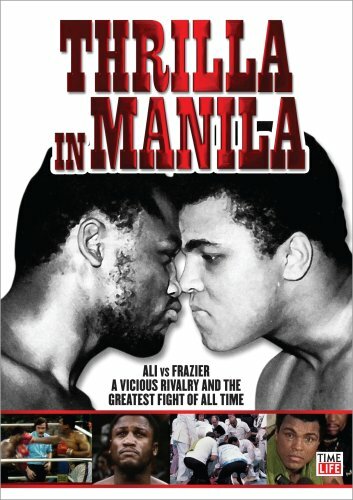 BBC/HBO documentary about the Joe Frazier/Muhammad Ali series of fights that ended in their third battle in Manila, which many people say is the greatest fight ever. The film has a slant toward Joe Frazier since he is in the film and Ali is not. This is another excellent documentary from HBO Sports via the BBC. It looks at the battle of wills between two fighters and the feud that almost killed them both. Its clear that something special happened when the two men met in the ring since each man was made something greater in the eyes of the public as the result. The talking heads put the battle in to a context of boxing, the human cost when two huge egos crash into each other and the open wounds and rawness of the civil rights movement affected society. For me the interesting thing is that the film, which is admittedly slanted towards Frazier, makes it clear why many people didn't like Ali. We see and hear of Ali's antics outside of the ring that made his fights more often than not a circus. Ali is stripped of the veneer of being a great humanitarian and seen just as a showman and it is a pointed reminder that he was very much a human and could be cruel. Frazier has never forgiven Ali for what he said about him (he called him a gorilla and said he was an uncle tom) and as I said to my Dad when we were watching it during a recent run on cable, this is one case where I completely understand why Frazier hates Ali and why Ali's efforts to put it right have fallen short. I am a fan of Ali but this film removes some of the air brushing that time has done to Ali's reputation. If you like boxing, or more importantly want to see an excellent documentary see this film.